Lion dancing, red packets (Ang Paos), lanterns, acrobatics, Kung Fu and exquisite food are all synonymous with celebrating Chinese New Year. But how can you celebrate it in the UK? 2017 marks the Year of the Rooster which signifies fidelity and punctuality. Spring Clean: Dust out the cobwebs and start a fresh with a good deep clean. Traditionally done on Chinese New Year Eve but if like me, you don’t have the luxury of a day to yourself I try to just declutter and clean throughout Chinese New Year which lasts two weeks. Theatre: There’s no doubting that when it comes to colourful performing arts the Chinese culture has a lot to offer. So check out your local theatre to see if they have any shows planned. 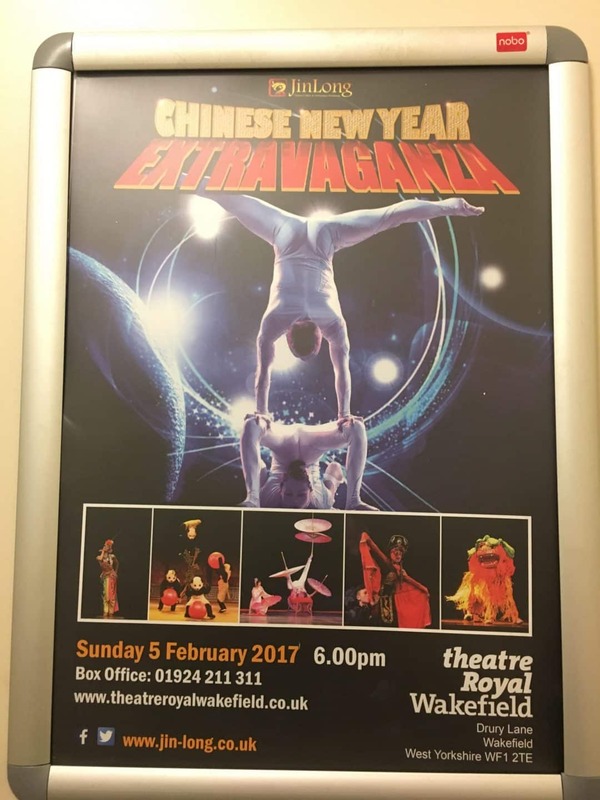 I’m chuffed that this year at the Theatre Royal Wakefield there’ll be a Chinese New Year Extravaganza…From the cheerful spirit of the auspicious Lion Dance, to majestic and awe-inspiring contortion, the show is a colourful display of Chinese cultural tradition.Witness the daring stunts of Chinese acrobatics alongside elegant Chinese dance, energetic kung fu performance, a highly skilled puppeteer that can perform the ancient magic of Face Changing and more. Food: A big meal with all your family or friends. Each bring a Chinese dish to share. Make (or buy) some fortune cookies and get the chopsticks out. Or if there’s just a few of you, you could try this noodle broth recipe to serve in jars or bowls. Entertainment: If there’s a Chinese community association where you live there’s likely to be an event too. We love going to Sheffield City Hall for their celebration. And this year we’re also going to Leeds as there’s a Chinese Fayre on Saturday 28th January at the Corn Exchange and a show on the Sunday 29th January at Leeds Town Hall. As well as of course Sunday 5th February at Theatre Royal Wakefield. Storytime: Read out loud the traditional story of the Chinese horoscope with all the animals competing in the race. You can google this or show your kids this video of my mum aka story-teller. Crafts: Make dragon sock puppets out of your old socks. Stick on some googly eyes and sew or stick orange material or paper coming from the crease of it’s mouth. Or try these Dragon masks. Language learning: They say the best time to learn languages is before a child reaches 5-years-old. But learning languages at any age is great for you and, who knows, Chinese (Mandarin or Cantonese) may/will come in handy. 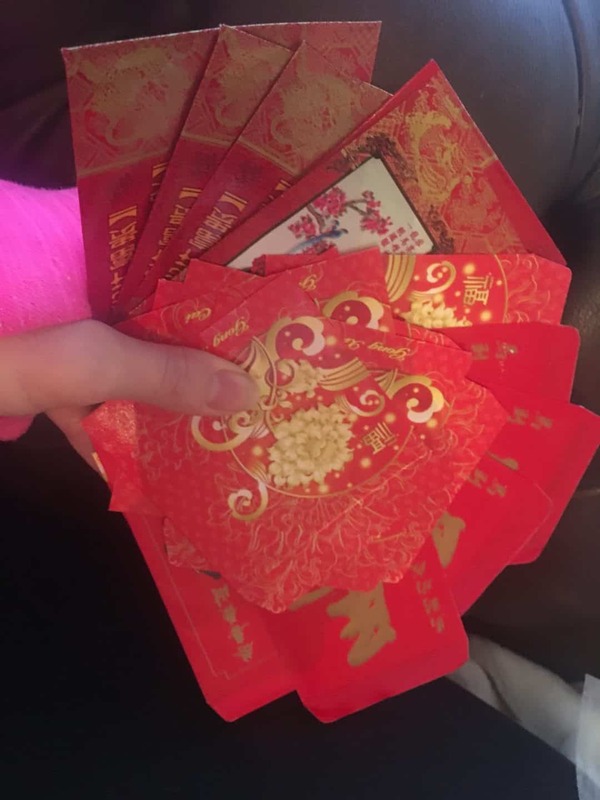 Giving Ang Pao (red packets): To celebrate people in south east Asia put money inside and give out to children and others. Or if you don’t fancy giving money som white rabbit (or any sweets) will do. Rejig your New Year Resolutions: This isn’t a CNY tradition other than in our household but it’s a great time to hone your New Years Resolutions to make them manageable and achievable. Try Tai Chi: This graceful ancient art is great exercise. So breathe, relax and meditate. You can do it outdoors if you dare. Chop Stick games: It can be tricky learning to use chopsticks. To make it more fun put a bowl of sweets down and using your chopsticks you have to pick up as many sweets as you can and put it in your own pile. The better you are, the more sweets you’ll have. Did you know? By 2025 two-thirds of the World’s population will be living in Asia. Lanterns: Make/buy them and cover your house in bright Red and Gold (lucky colours to bring good fortune). Whatever you’re doing, wherever you are… wishing you health, happiness and prosperity. Tip: Use play-doh to make Chinese characters. This one ^^^ means LOVE. Great ideas! I was hoping to get to one of the events in Leeds but with two poorly kids it doesn’t look like it’ll happen now. Food, crafts and reading the story it is! 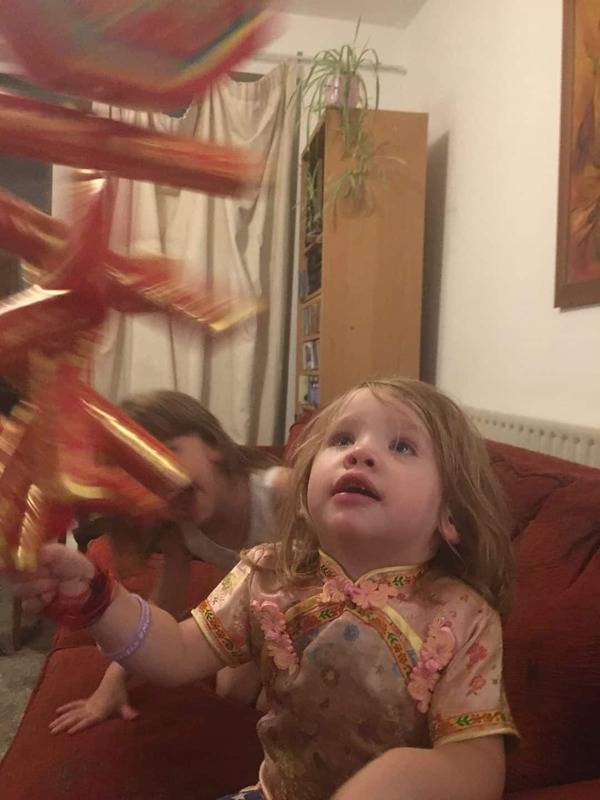 We always mark CNY as my brother lives in Shanghai so it helps my daughter feel connected to her uncle.